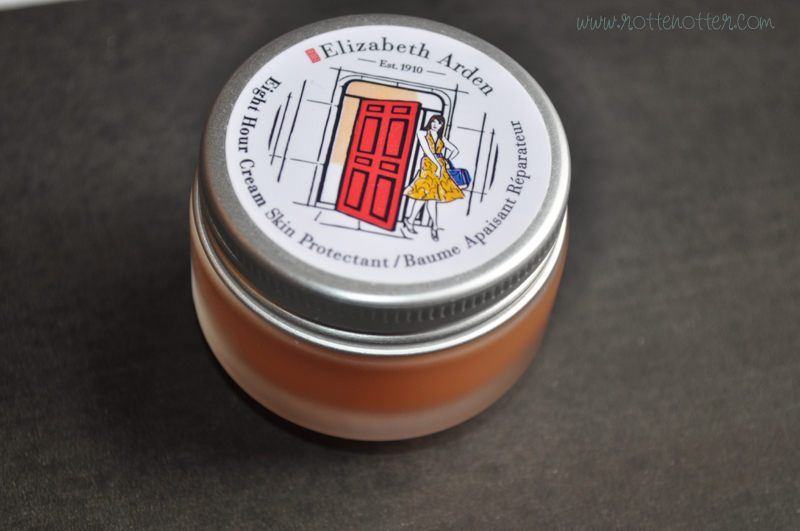 As the weather is noticeably getting colder I thought I'd write about my one winter essential, Elizabeth Arden Eight Hour Cream Skin Protectant. This has featured in my August Favourites. I first found out about the 8 hour range when I was at London Fashion Weekend with my cousin about 3 years ago. I've been meaning to buy this skin protectant ever since but just never have, anyone else do this with products? Now I have it though, I couldn't live without it. Created in 1930 by Elizabeth Arden to soothe skin, Eight Hour Cream Skin Protectant became an instant and overwhelming success. 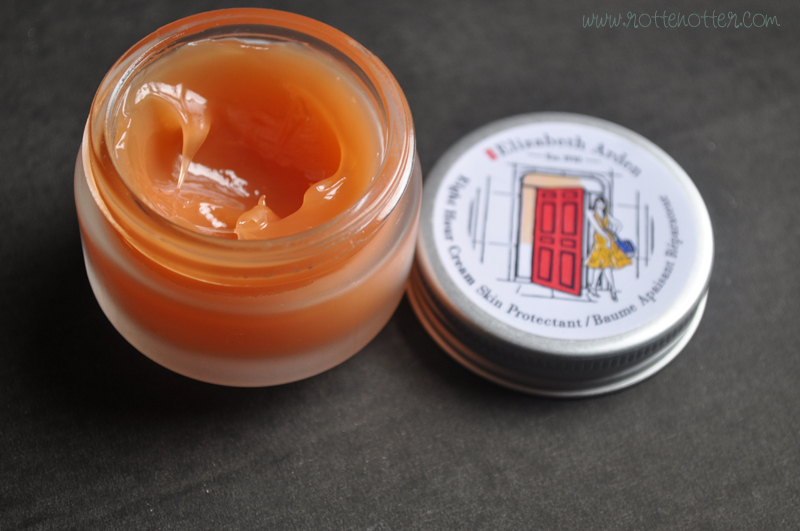 What made it so effective is a combination of petrolatum, a skin-soothing beta-hydroxy in one of its first cosmetic uses, and vitamin E. The apricot coloured balm was so beneficial to her clients, Miss Arden used it to soothe her famous thoroughbred horses' legs. Even its name came about thanks to a remarkable performance - a loyal client used it to treat her child's skinned knee and "eight hours later" the skin was all better. The skin protectant has so many different uses! I mainly use it on my lips, it works wonders if they're dry or cracked and will protect them from the cold and wind. It leaves a really nice glossy finish to the lips too. It can be used on dry skin else where on the body and small burns and grazes. It's great for the cuticles as well. These are the main ones I use but there are probably more that I haven't even thought of! It does have a strong and distinctive scent, one which some people might not like, but I do think it really grows on you. I wasn't so sure about it when I first smelt it, but now I hardly notice it. Even when I apply it to my lips. This glass jar was limited edition and while I was writing this post I hoped you could still buy it from ASOS in clearance but unfortunately you can't. You can buy the tube from Feelunique.com though which is considerably cheaper than elsewhere, you'll save about £6 with free delivery. It is £19.55 which may seem expensive but the 50ml tube will last a really long time! Probably even a year or two. I've had my pot for about 3 months now and the only reason it looks like I've used a lot is because I've depotted some for my handbag. Before this, it looked like I hadn't used any even though I'd been using it daily.